Li Biao is one of the few artists to combine a successful career as a conductor and percussion soloist. He first came to prominence as conductor on the world stage in 2011. Since then he has built an extraordinary career, not only as one of the most outstanding percussion soloists, but as an artist whose creative life encompasses a vast range of conducting activities for the past few years, having closely worked with and inspired by Christoph Eschenbach and Lawrence Foster along the way. Highlights of 2017/2018 include Li Biao conducting the National Philharmonic Orchestra of Russia at Tchaikovsky Concert Hall in October; In December, Li Biao conducted the MOYSA (TCH Youth Symphony Orchestra of Thessaloniki ) for the 75th Anniversary Celebration of the Conservatory of Northern Greece at Thessaloniki Concert Hall; After opening for XII International Christmas Art Festival with Novosibirsk Philharmonic Orchestra, Li Biao led the orchestra for its first China Tour. 2018 will mark a wider and much more intense collaboration of Li Biao and orchestras. Aside from continuing his collaboration with SuZhou Symphony Orchestra, his will also be working with Berlin Konzerhaus Orchestra, NCPA Orchestra, Shanghai Philharmonic Orchestra, Tianjin Symphony Orchestra as well as many other orchestras around the world. The 2016/17 season witnessed his collaboration with Marseilles Opera Orchestra again. Other highlights have included an acclaimed debut with Theater Orchester Biel Solothurn, Janáček Philharmonic Ostrava and National Philharmonic of Russia’s first China tour. January 2017, Li Biao conducted, for the very first time, the complete Beethoven symphony cycle together with Brandenburg Symphony Orchestra, followed by touring with the orchestra in 4 cities in Germany for New Year’s concerts. In 2014, Li Biao was appointed Music Director and Principal Conductor of China National Opera & Dance Drama Theater Orchestra, as well as accomplished his first opera production AIDA successfully at China Opera Festival together with the Central Conservatory of Music Opera Center. 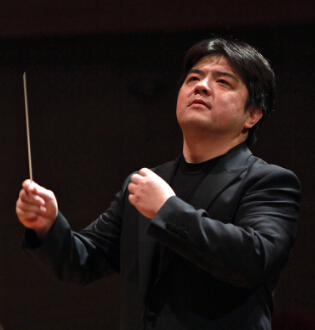 In 2013, Li Biao, as the first Chinese conductor to work with Filarmonica Arturo Toscanini, was invited to conduct the orchestra at the opening ceremony of Verdi’s 200th Anniversary Music Festival and had won rave reviews, which led to the following invitation of conducting the Orchestra Dell ‘Opera Di Parma in its new year concert tour in 5 cities of China and the appointment of being their guest conductor in 2015. In 2012, Beijing Symphony Orchestra named Li Biao the Artist-in-Residence and Principal Guest Conductor, a position established for the first time in the history of this orchestra.